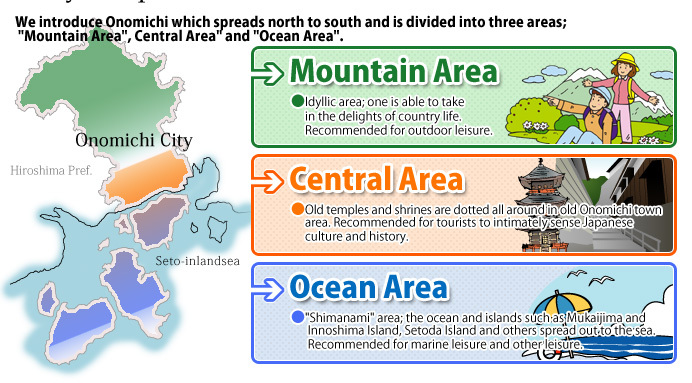 ﻿ Tourist information including Japanese food, Cycling, Festivals, Cherry Blossoms and Shimanami Sea Route of Onomichi-city, Hiroshima-prefecture. Onomichi Tourist Association ONONAVI offers information of sightseeing in Onomichi-city Hiroshima-prefecture (Japanese Food, Cycling, Festivals, Cherry Blossom Viewing, Showplaces and Sightseeing Spots), information of Cherry Blossoms in Onomichi-city, History of Onomichi-city, Nature of Onomichi-city, Culture of Onomichi-city, Festivals in Onomichi-city and Events in Onomichi-city. Below IE8 browsers cannot display map correctly. We recommend using IE9 and above, FF or Chrome. Copyright (C) 2009 ONONAVI. All rights reserved.